For my fabric I chose a cotton voile from A Fashionable Stitch. It was my first purchase from Sunni and I’m so pleased with it! I love looking at her shop. She always has such great, colorful fabrics. It’s hard for me to not buy them all! When I saw she had this fabric with birds I knew it would be perfect for my first The Monthly Stitch challenge. The Monthly Stitch is a community of women who love to sew and take on sewing challenges. Each month there’s a different challenge and once you complete the challenge you post your creation on the blog for everyone to see. I thought it would be a great way to spice up my sewing and to get involved with other sewing bloggers. This month the challenge is to sew something with a bird on it, which is where my cotton voile with a bird on it comes in. I like to think of this as my happy spring skirt. 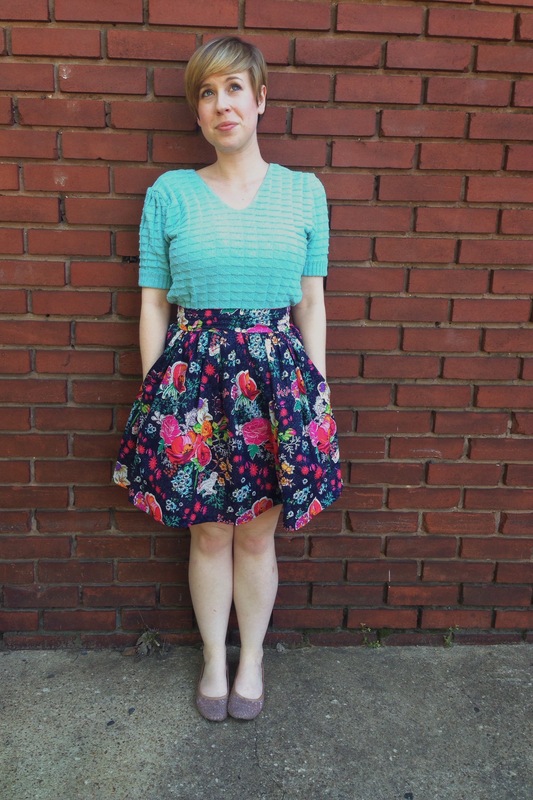 Cheers to sewing, creating, and to lovely spring! 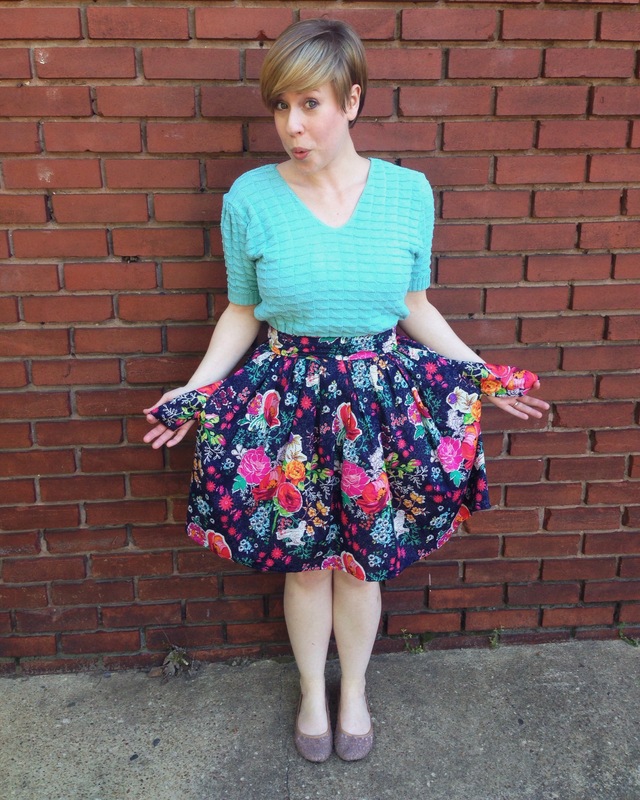 So cute – you’ve come a long way dear Pamela with your sewing! 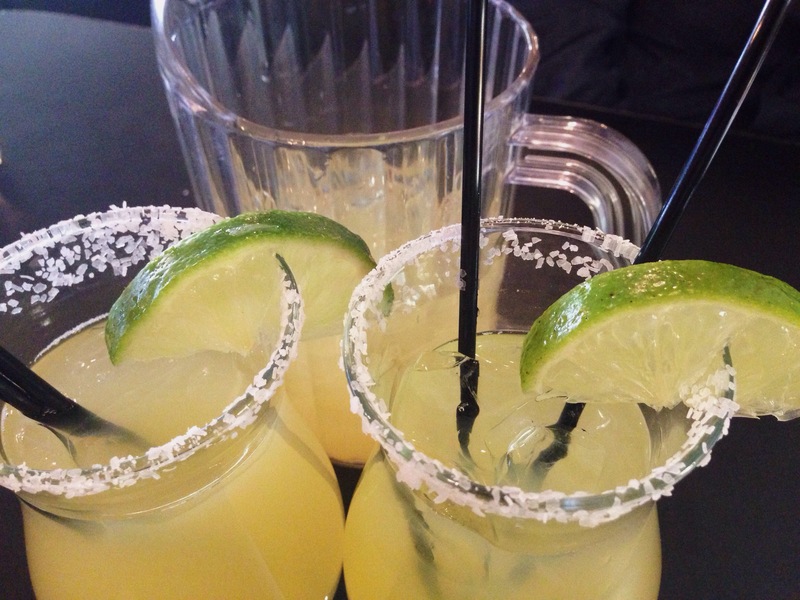 And….I hope you two didn’t drink that entire pitcher and drive!?!? I absolutely couldn’t love this blog post more if I tried! And that skirt is adorable. One.Proud.Mom! Aw, thank you so much! :) And thank you for stopping by! Very cute fabric! I wouldn’t have noticed any problems with the skirt unless you showed me. Looks great on you! I really love the look of the skirt for spring. I think it shows off the fabric really nicely. I’m hoping to make one for my next project and have already found the perfect fabric, seeing yours has made me want to get started straight away! Oh that’s wonderful. Thank you! I can’t wait to see your’s! 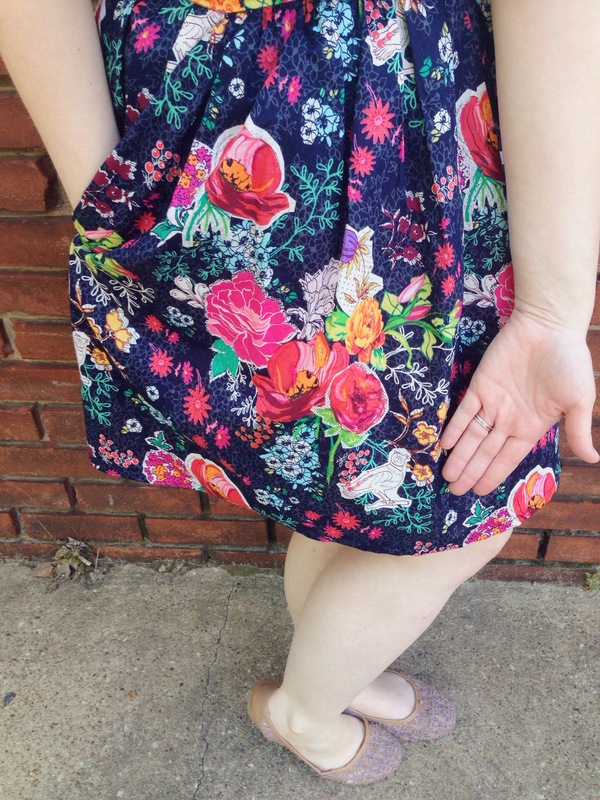 Your Clemence looks great and the fabric is so cute! Your skirt is so beautiful! I’m continually amazed at your skill. Yay! Amazing you and making you laugh were two of my goals :). Thank you! !